Getting your fuel tank out from behind the seat and between the bed rails is a good move. I don’t know about you, but I’ve never liked gas sitting 12 inches behind me. 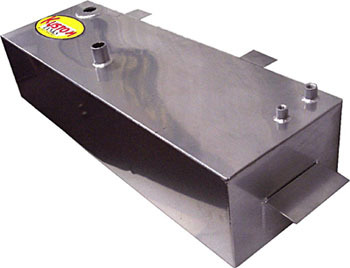 Doc’s has a line of quality made custom aluminum fuel tanks that you can bolt to the frame rails, behind the rear axle. You have the option of a bed floor fill or side fill style tank, depending on where you want to fill the tank from. 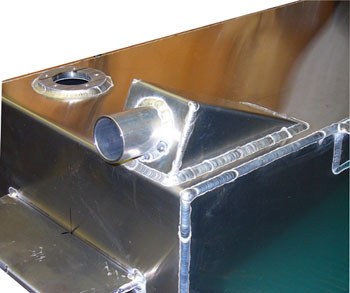 1947 – 1953 Chevy fuel tanks are 17 gallon, high quality tanks. Doc’s also makes tanks for other Chevy models as well as Ford Trucks. Doc’s also makes gas filler doors for your bed to hide the fuel cap.